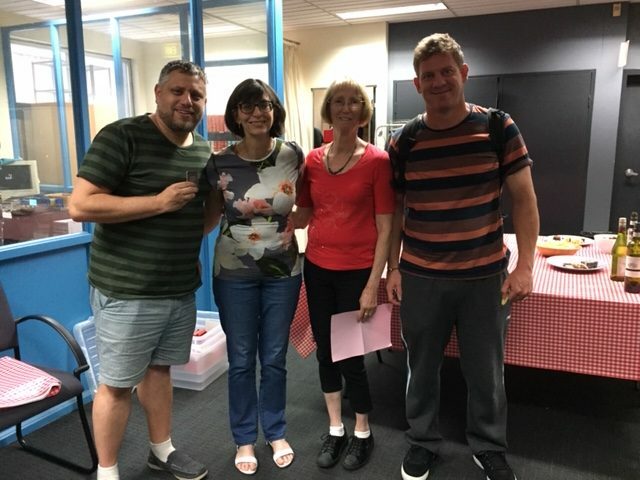 Victorians at Australian Mixed teams playoff..
Victoria was well represented in the 2019 Mixed Team Playoff held in Sydney over the Australia Day weekend. After the two day qualifying rounds 10 of the 16 semi-finalists were Victorian. GOLD (Leigh Gold, Kitty Muntz, Kim Frazer, Jamie Ebery) led the quals from DARLING (Marina Darling, Justin Mill, Annette Maluish, Andrew Mill). Simon Hinge was a member of the 3rd placed GROSVENOR team while Ben Thompson was a member of the 4th placed team TUTTY. GOLD accounted for DARLING 153-75 in the semis and TUTTY beat GROSVENOR 175-87. That set up the final for the all Victorian Team GOLD against TUTTY (Jodi Tutty, David Beauchamp, Renee Cooper, Ben Thompson). After a very quiet two sets where TUTTY led by 5 that team made a burst in set 3 (43-11) and the extended their in the final set to win by 140-93. So congratulations to Ben Thompson on earning the right to represent Australia in the Mixed Teams at the 2019 World Teams Championships and congratulation to Leigh Gold, Kitty Muntz, Kim Frazer and Jamie Ebery on making the final.